Engage and communicate with prospects and customers right on your website or Mobile App, using Video, Voice, Chat, and collaboration tools. Engage your customers with the channel they use most: their mobile devices. Provide human interaction, create new up-sell and cross-sell opportunities, and boost agent productivity. Anticipate customer needs by deciding when and who to engage based on a wide variety of customizable rules. Offer live and proactive operator assistance to build customer loyalty. Enhance customer satisfaction and retention at a lower cost than email and telephone support. 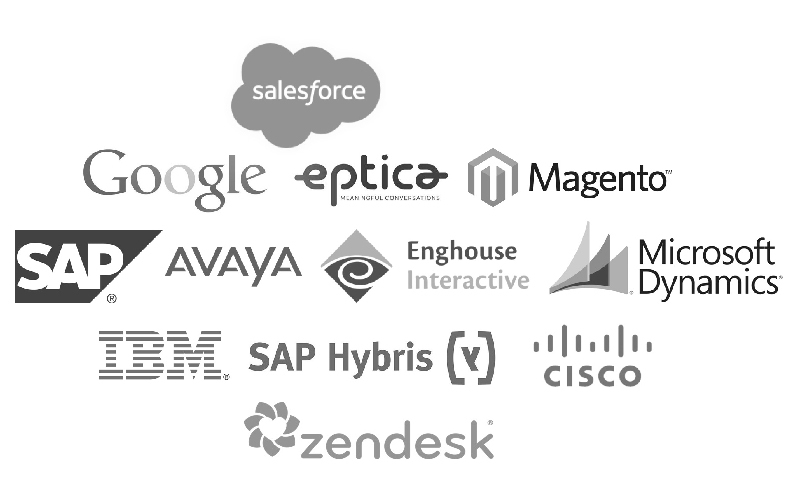 Completely cloud-based and developed with integration in mind, Vivocha offers APIs designed to simplify the process of integrating with external apps. 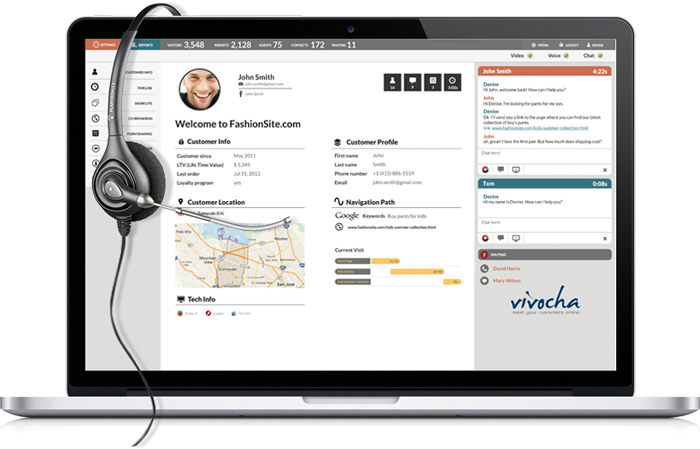 Vivocha is a native cloud platform, multi-tenant scale combined with enterprise-level security that enables it’s users to create a mission-critical application for their businesses. Our open platform is designed to help you get up and running with proactive customer engagement in no time. No programming skills are required. Developed with integration in mind, Vivocha offers APIs designed to simplify integration with external apps. Integrating Vivocha with other applications allows agents to keep working on a single platform while interacting with customers. The reduction in average response time speeds up task completion and avoids errors, providing a better overall experience.